This pass was given to my... originally was a friend of my father's. He was a professional football and a professional baseball player. And in the '30s, he was at a party, is what I'm told, and 100 of these passes were given out, and they were given out by George M. Cohan to these baseball players, and he was guaranteed a lifetime entrance to Comiskey Park. And that's what I know. Mm-hmm. All right, well, I've got to tell you, when you brought this to my table, I felt like Yankee Doodle Dandy. I was literally blown away. What we have here is a gold pass. Gold passes are extremely rare. As you said, it's for the American League, it's a lifetime pass, but what's fascinating about this pass is who it was issued to. It was issued to George M. Cohan, the greatest Broadway impresario, the composer of "Grand Old Flag" and of "Over There" and most importantly, one of the biggest baseball fans of his time. This pass is from the early 1910s, I would say, and it's issued by Charles Comiskey, who is the owner of the White Sox. It's phenomenal. I mean, it's incredible. 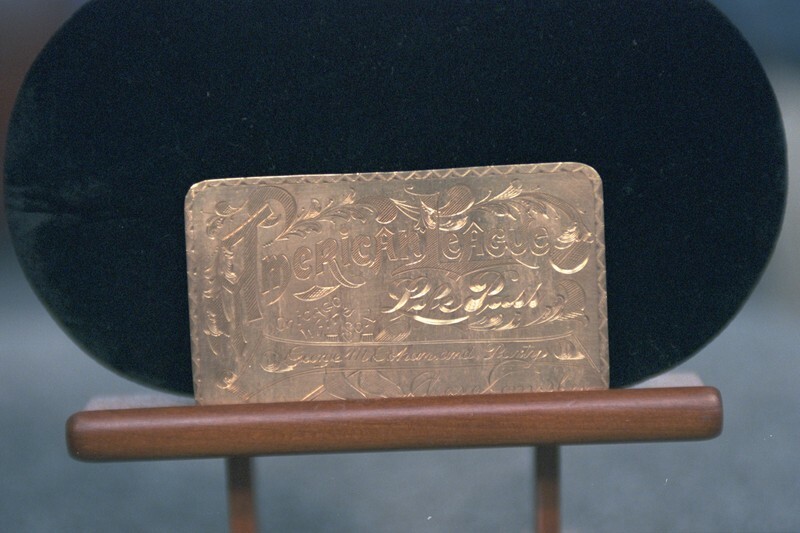 Various kinds of passes were produced back then, including paper passes, silver passes, brass passes, but to get a gold pass, you had to be really, really important. What makes this even more special is you have the original pouch, the original carrying case with the gold inlay here that talks about who it was given to. It's just – it’s just a wonderful, wonderful piece. You ready for this? I think $10,000 to $15,000 without question, perhaps more at auction. 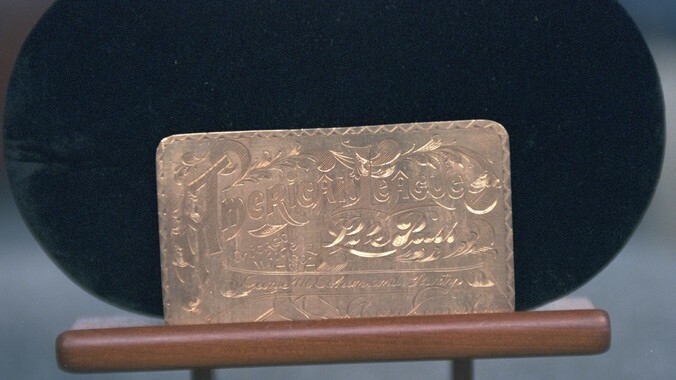 …a little bit earlier, issued to John L. Sullivan, went for upwards of $20,000. So, I mean, it is a wonderful item. Congratulations, Gil. Oh, that's great news, thanks.